Have the tides turned for the formation of cE galaxies? 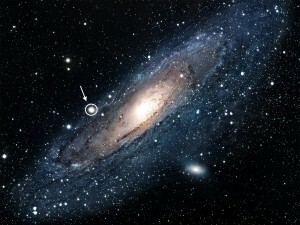 Figure 1: M31 - the Andromeda galaxy, with the compact elliptical (cE) galaxy M32 to the left of the center. Unfortunately for us observers, tidal interaction is not always obvious. In particular, a specific class of elliptical galaxies called compact ellipticals, or cEs, are unusually compressed they lack the usual dim, fuzzy outer regions characteristic of ellipticals. Some speculate that these galaxies are so petite because their outer layers have been stripped away by a neighboring galaxy, leaving a remnant galaxy with a much greater surface brightness than a normal elliptical of comparable size. This would fit in with the observation that most cE galaxies are found near other galaxies; however, because we can’t see the tidal stripping directly, there is debate. An alternative theory claims that these are regular elliptical galaxies that simply formed small and never contained stars in their outer regions, leading to implications about the size distribution of elliptical galaxies. In order to differentiate between these two models, Howley et al. 2012 measured the dynamics of individual stars in one of our nearest neighbors, the compact elliptical M32. Figure 2: Velocity distribution of the individual stars. The solid line shows the stars associated with M32, while the dashed lines indicate extraneous stars associated with Andromeda, which is modeled by a rotating disk (the broad curve) plus a non-rotating central bulge (the narrow curve). M32 is the closest cE galaxy to the Milky Way and companion to M31, commonly known as the Andromeda galaxy. Isolating individual stars is no easy task, even in this case, so Howley et al. attempted it only in the outer regions of the galaxy where things are a bit more spread out. Using the Canada-France-Hawaii Telescope (CFHT), they obtained spectra for several hundred of these stars, and were thus able to determine the line-of-sight velocities of each. Because M32 is close enough to M31 that they appear to partially overlap, the authors couldn’t tell ahead of time which stars to include in their analysis of M32, and which really belonged to Andromeda. Fortunately, the two galaxies are moving at different speeds relative to us and to each other; therefore, by modeling the distribution of observed velocities, they were able to sort the stars into their respective hosts (see figure 2.) Additionally, to get a complete picture, the authors took long-slit spectra for several bright, inner regions of the galaxy where the stars blur together, which gave them information about the overall dynamics of stars at these radii. Figure 3: The velocity distribution of the outer edges of M32, with the theoretical model shown in red. Dashed lines represent escape velocity from the galaxy at this radius. The prevailing wisdom amongst astronomers suggests that all galaxies are born in dark matter halos. In fact, one of the first pieces of evidence for dark matter originated from the rotation curves of spiral galaxies, where stars in the outer regions are moving more quickly than one would expect based on the amount of visible material present. In other words, if the only gravitational force acting on the outermost stars came from baryonic matter, those stars should be flying out of the galaxy at higher than escape velocity. In an analogous fashion, Howley et al. 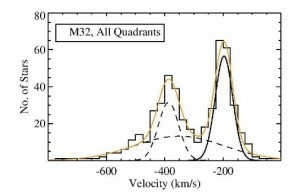 measure the net velocity distribution in M32, and find a handful of stars that are moving faster than they should be if the mass-to-light ratio in the galaxy remains constant to the outer edges, suggesting that it too has a dark matter halo. While this might sound unsurprising, if M32 has in fact undergone tidal stripping, its dark matter halo should have been torn away along with everything else. Alternatively, however, tidal forces could also be directly responsible for the large velocities, implying that the stars are indeed flying out of the galaxy as a result of its interaction with Andromeda. The authors lean away from this argument on the basis that very few stars exhibit this behavior, and one would expect many more to follow if tides were the culprit; but both situations are considered. A second piece of evidence which may point away from a tidal stripping scenario is the remarkable uniformity in the kinematics. 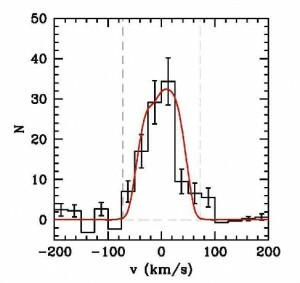 The distribution of velocities along both major and minor axes of M32 is essentially the same, and both profiles are quite smooth. In contrast, the isophotes – lines of equal brightness – within M32 appear to be twisted within this same range, which in the past has been postulated as evidence for its tidal disruption. Because the isophotes are twisted, but the dynamical profile is smooth, it is possible that isophote twisting is not a sign of tidal disruption, but simply native in some elliptical galaxies. Despite this detailed analysis, the authors cannot rule out tidal interactions as shaping cE galaxies such as M32. They caution that while there is potential evidence for a dark matter halo, it is inconclusive, and it is even possible that these outlier stars are part of the neighboring Andromeda galaxy instead. Nonetheless, the lack of evidence in favor of strong tidal disruption should give astronomers pause as to how important galaxy interactions really are in the evolution of compact elliptical galaxies.